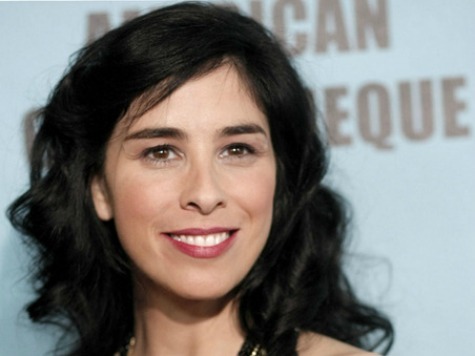 Sarah Silverman, the foul-mouthed woman* who is one of the stars of the upcoming Disney children’s movie “Wreck-It-Ralph,” is apparently free to be as filthy as she wants while Disney looks the other way. This is the same sewer-mouthed Democrat who made a video that tore into voter registration with invective culled from her potty-minded brain and offered to “scissor” Republican donor Sheldon Adelson. First, Nickolodeon ignores the sexual mockery of Ann Romney and Janna Ryan by “American Pie” star Jason Biggs, and now Disney shows what it’s made of by ignoring Silverman’s sewage. There was a time when society would have condemned purveyors of this filth, and Hollywood would have responded accordingly. Those days are gone; Hollywood has taken the gloves off in its adoration of Barack Obama. Any attack that serves him is viewed as tolerable. Is Disney going to act like a man or a Mouse? *Let’s not dignify her by calling her a comedienne, because she is simply not funny at all — just a woman who thinks humor is 100% scatological.